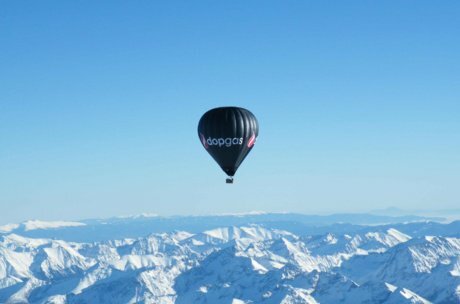 Take off with paragliders, parachutes, balloons, aircraft or helicopter in Zell am See-Kaprun. The glacier, mountains & lake in the Zell am See-Kaprun region are best viewed from an aerial perspective. Fans of special views take off and enjoy our region from a bird's-eye view. Dizzy heights surely offer the best views across the region's beauty. 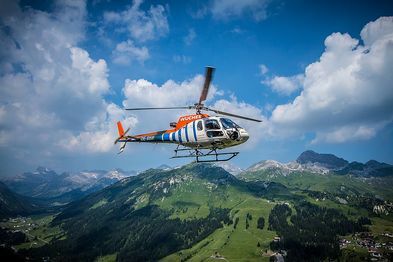 You couldn't get any higher - experience Zell am See-Kaprun from high above and enjoy something special when paragliding, parachute jumping, during a ride in a balloon or on a helicopter sightseeing flight through an amazing mountain world. Ready for the jump of your life? In fair weather conditions, you can see them flying high above Lake Zell; big, chunky-looking transport planes that make you wonder what they might actually carry. You know what is going on the minute the door is opened mid-air and a group of daredevils jump into the deep. Yet again, some brave at heart have dared the No. 1 adrenalin kick - a parachute jump high above Zell am See-Kaprun. Whether the view to the mountains, the lake and the region can be really enjoyed in that way, is something you should ask someone who has been parachuting before. Alpenfreifall GmbH and Flugschule Zell am See-Kaprun flight training school offer a wide range of single jumps and tandem jumps. If you don't fancy jumping from a plane several hundred metres above solid ground, then take a motorised sightseeing flight. 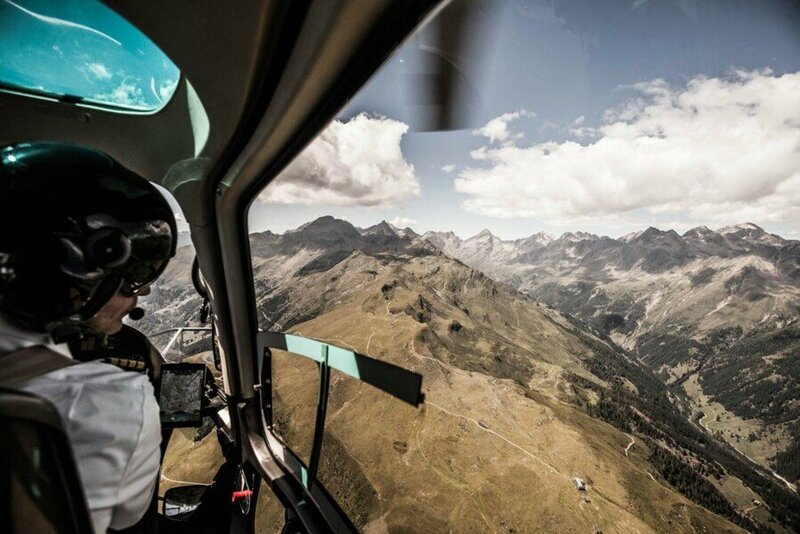 Stunning views to the mountain world and the Hohe Tauern National Park are waiting for you AND you can stay on the motor aircraft, glider or helicopter the entire time. Take off to the sky with us. If parachuting is all about adrenalin, then a relaxing alpine and panorama sightseeing flight is a good contrast. 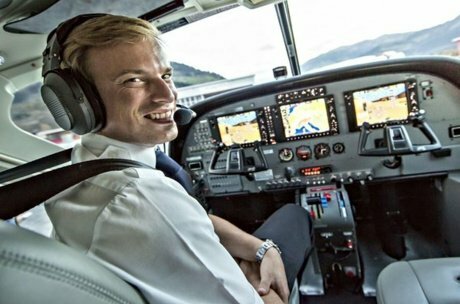 Become a passenger of the local Alpenflug company and take off for a sightseeing flight across Austria's most beautiful alpine region. The programme ranges from short alpine sightseeing flights to extensive sightseeing flights in the Alps and unforgettable panorama flights. Starting from flight times of approx. 20 minutes and a price of € 60.00, you can experience unforgettable views across the Kaprun High Mountain Reservoirs, the Grossglockner and the Pasterze or even to the east wall of the Watzmann or the town of Salzburg. Book your personal aerial tour with ZellAir individual aviation. ZellAir takes you reliably and safely to many desired destinations in Europa within a distance up to 1.000 km. Fancy brunch at Lake Zurich? Then off you go, enjoy your flight and you will be back for dinner at the shores of Lake Zell. You can also choose the airport in Zell am See-Kaprun as destination for your holiday travel. ZellAir picks you up in your town and takes you to Zell am See-Kaprun where exclusive shuttle buses direct to your hotel are waiting for you. Holiday travel couldn't be any more luxurious. Book your personal, individual pilot directly at the Zell am See Airport - more details on request! This also is possible in the Zell am See-Kaprun region. Experience the alpine mountain world and especially the thermal when paragliding or during a paragliding tandem jump. An experienced paraglider will take you to the take-off site on the Schmittenhöhe from where you start the tandem jump together. Enjoy the beauty of the region from the sky. Do you want to learn paragliding? Then book a paragliding course with the Flugschule Zell am See flight training school and learn the right technique from start to flight and the perfect landing in the valley. An extensive range of courses is available and you have the possibility to acquire the German and Austrian paragliding flight licence. This will enable you to start from many places in the Alps. The only question is whether other places are just as beautiful as Zell am See-Kaprun! You get only closer to the mountains if you climb them yourself. 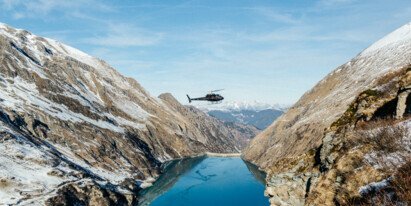 Wucher Helicopter and Sennair Helicopter take you very close to the region's mountains. You enjoy fantastic views to the Hohe Tauern National Park and the snow-covered and glaciated summits of the 3.000 metres high mountains. 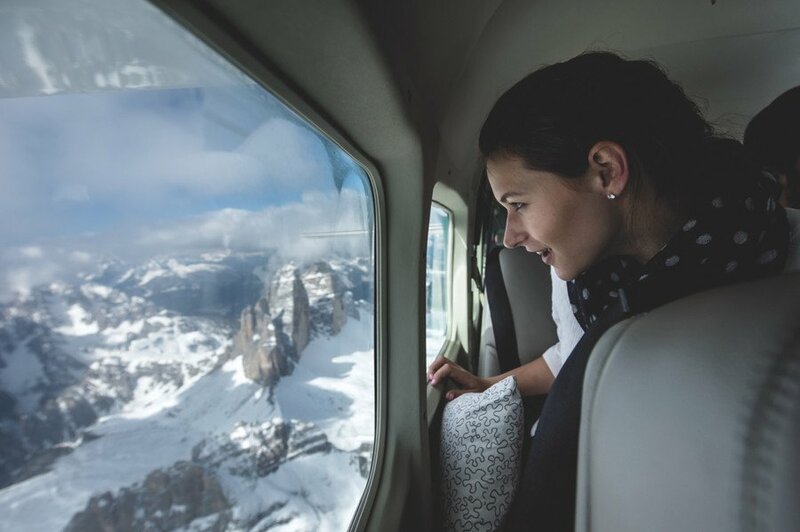 Watch the summit conquerors on a sightseeing flight or discover the unbelievable dimensions of the Kaprun High Mountain Reservoirs from the air. Fly round the mountains and try to use the world of the glaciers out of snow and ice for orientation in the comfort of the helicopter. 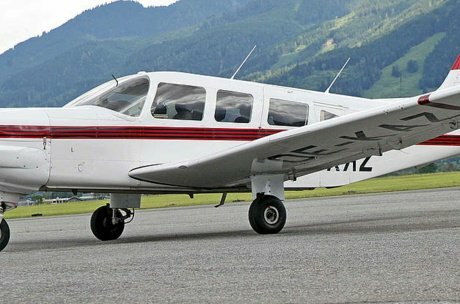 Base of your aircraft is the airport in Zell am See. The "LOWZ" is located in Schüttdorf, a part of Zell am See from where various sightseeing flights start or you take off for a parachute jump. Air shows and air displays are staged on a regular basis and are an experience for the entire family and are a stable in the region's event calendar. 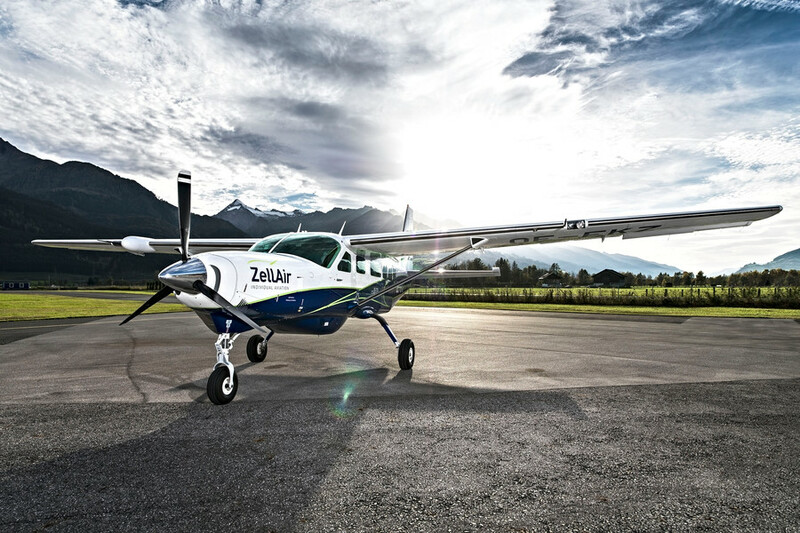 Get some "aviation air" and visit the Zell am See-Kaprun Airport. Sightseeing flights above the glacier, mountains and lake with space for 5 persons. Experience the region out of a new perspective. Are you brave enough for a parachute jump high above Zell am See-Kaprun? Do you want to take the paraglider from the Schmittenhöhe or do you prefer a more relaxed sightseeing flight in a helicopter? 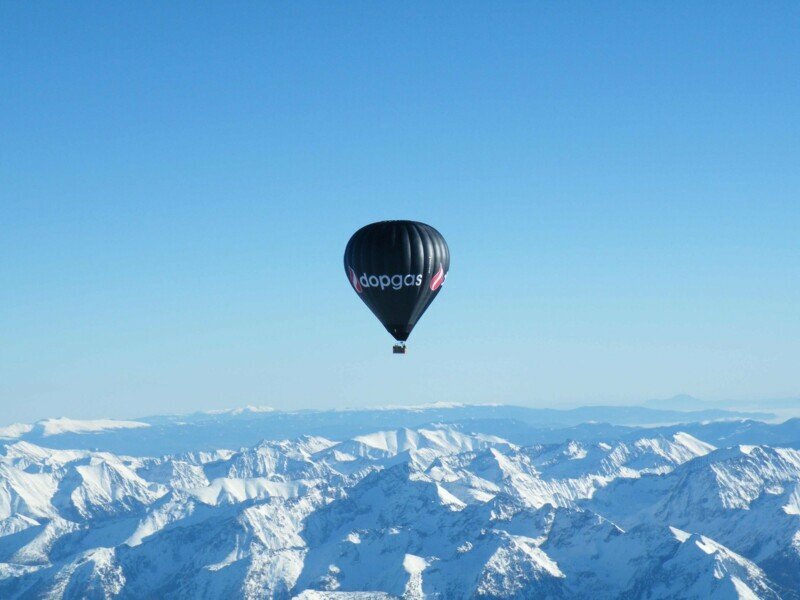 How about a ride in a hot air balloon? Whatever you choose, important is that you spend your holiday in the Zell am See-Kaprun region. Book comfortable accommodation in our region now and prepare to take off soon. Contact us directly with your questions or for further information. Who knows, we might be watching you soon jumping out of a plane high up in the sky!